Instead of my traditional “all-at-once” reviews, I thought I should do a different type of review this time: Highlight a few capabilities into their own posts, and then do one uber review that encompasses everything. You all know I can get a bit loquacious – I am who I am – and I thought this route might provide you more digestible chunks. It will also give you some entertainment this week while I’m on vacation in Bend, Oregon, and enjoying a nice kitchen in a rental home. 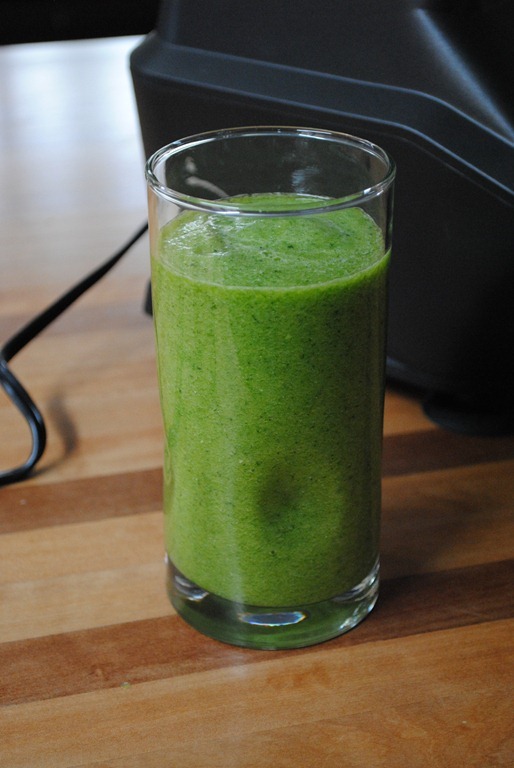 I wanted to get to one thing right away: Juicing. 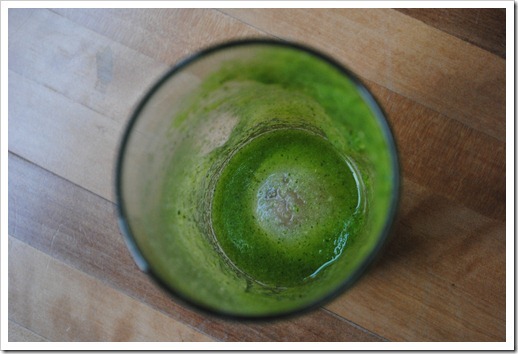 Juicing is something you all are very passionate about. The number one page on this blog is my “How to Juice with a Ninja” page, and, that is also the page that has the most comments, hands down. I wrote it about two years ago (how has it been that long?! ), and times, they are-a-changing. 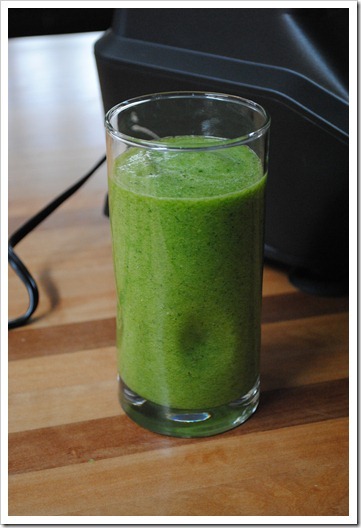 There were two camps on my original approach to juicing with the Ninja. You guys either embraced that you had to strain the juice or didn’t mind the pulp and left it in, or, were completely abhorred by it. To be fair, I see both sides of the story. 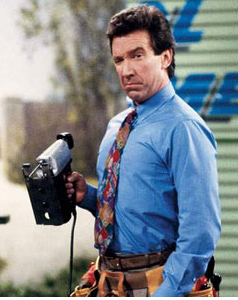 The Ninja infomercials make it seem like you can get juicer-quality juice from a blender. At the end of the day, it’s a blender, always will be a blender, and will never be able to do what a masticating juicer can do. But, it’s a compromise if you’re looking for more of an all-in-one solution to blending, food processing, and juicing. Anyway, I admit it. I was skeptical that the Ninja Mega Kitchen System would outperform its predecessors when it came to whole fruit and vegetable juicing. I truly thought it wouldn’t be any different and straining would really be required if you wanted a smooth drink. I mean, how could it be any different? The 72 ounce pitcher and blade design are the same. 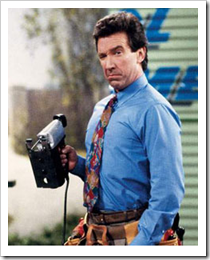 The difference can be summed up in two words very near and dear to “Tim, the Toolman Taylor”: More. Power. 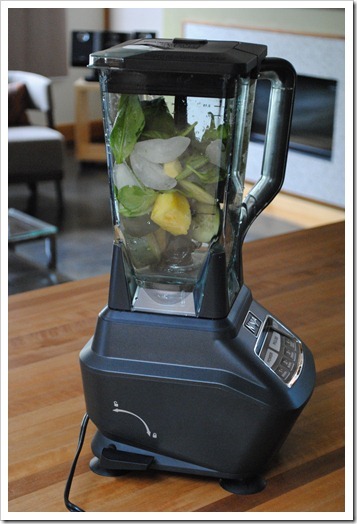 The Ninja Mega has 1500 watts, which is 2 horsepower, as compared to 1100 watts in other Ninja Professional blenders. And, it shows. 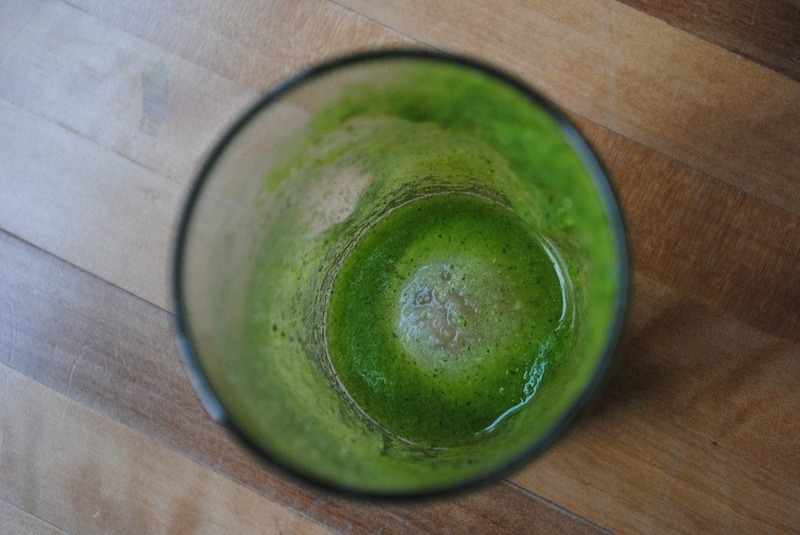 To give the juicing another go, I loaded up the blender with a slight modification to the Dr. Oz green juice ingredients (this is my favorite green juice, for what it’s worth), but I left one thing out: water. Instead of water, I followed Ninja’s directions for “Whole Food Juicing” and added four ice cubes. I also used spinach instead of kale, simply because I didn’t have kale. Green is green, right? As I stood there, ready for go time, I still didn’t think this was going to work. I really didn’t. I decided to keep an open mind, and got to it. 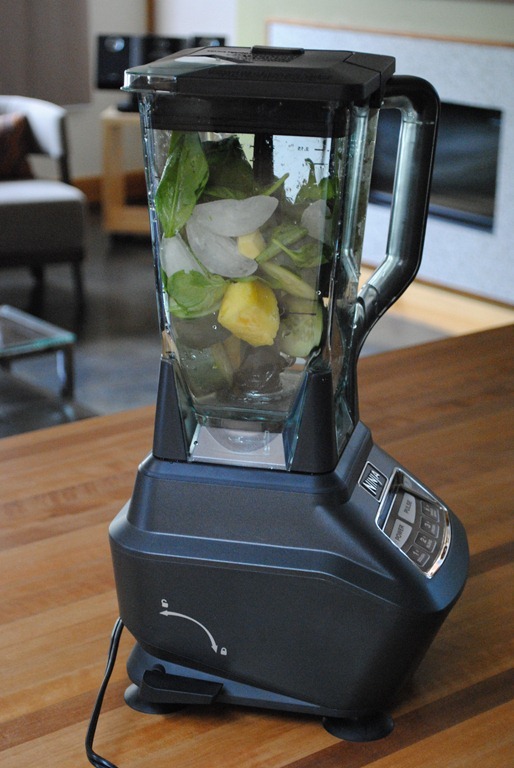 I blended on level 3 – which is labeled “Crush.” Ninja states that the longer you blend, the smoother your juice will be. After about a minute, I ended up with this. The juice never separated, and remained highly drinkable the whole time. It was delish and hit the spot. The ingredients to make this juice cost me about $2, which is a far cry from the about $6 it costs for one green juice at Evolution Fresh (or from Whole Foods). The folks at Ninja promote that the pulp is the most beneficial part of fruits and veggies, and I totally agree. That’s where the fiber and a lot of the nutrients are. However, some folks will never like pulp. 2Chili, for instance, cannot stand pulp. So, if you are thinking of buying this system because you only want to juice, and you hate pulp, I would say go buy a juicer. But, if you are looking for a more multi-purpose kitchen system, I can vouch that this system made what I considered highly drinkable juice. Aside from green juices, I don’t do a whole lot of juicing, so let me know if you have a specific recipe you want to see created. Just So You Know: I have absolutely no affiliation with the Ninja Kitchen folks. I bought this system for my own purposes and to share my honest thoughts with you about its performance. I receive no compensation or consideration for my opinions.